MyMemories Blog: Meet Feature Designer Sunshine Inspired Designs! 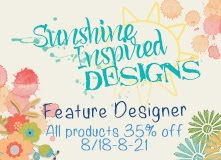 Meet Feature Designer Sunshine Inspired Designs! I'm originally from Poland, I came to the US in 2009. I came on a student exchange visa and worked as an au-pair in San Diego. During that time I met my husband. Currently, my family includes, my husband and I, and our rescue pup. We are living in LA, CA area now. In addition to designing and being an artist, I love pet sitting and pet photography. I work with different rescues and I’m learning the art of creativity to expand my horizons and inspire others to find their creative selves. 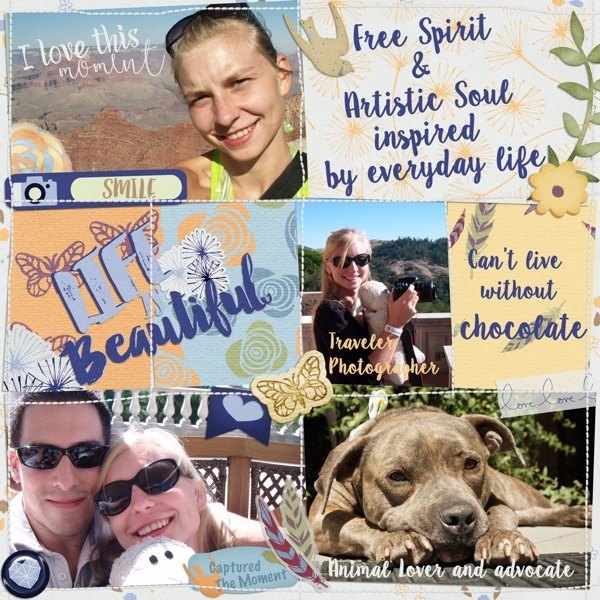 I started playing with digital scrapbooking in 2013 when my husband and I started traveling indefinitely and I fell in love with digital scrapbooking so much that I started designing for myself and with time I just wanted to share my creations and that is how Sunshine Inspired Designs came to life. Recently I discovered amazing apps that work with my tablet and can improve my designs. Few of my favorite apps: Adobe Sketch and Draw, and Procreate and I really like iFont Maker as well. Be sure to visit Sunshine Inspired Designs on these Social Sites!